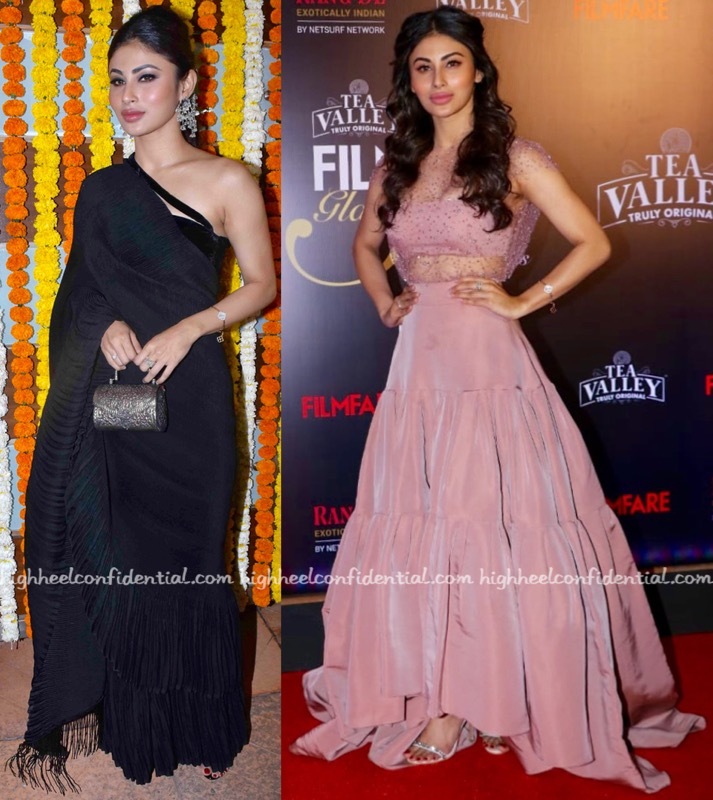 At Ekta Kapoor’s baby naming ceremony, Mouni was photographed in an Anuradha Khurana sari. Jewelry from Amrapali and a silver minaudière were among the actor’s choice of accessories. And for her appearance at Glamour and Style awards, Mouni picked a Reem Acra gown to wear. With her partially pinned back, she rounded out the look with Intoto sandals. We weren’t the biggest fans of either look but, if we had to choose, it’d have to be the appearance in the sari. (Despite the fact that it had us seeing double!) Neither the gown, nor its styling quite worked.